Jamie is absolutely amazing. He is my guide and mentor in buying my first practice. Jamie will make sure his clients are well taken care of before and after the acquisition. Since I am a first time owner, he always checks in to make sure I’m doing well. He knows so much and is so well connected in this field, you cannot go wrong having Jamie on your team! He helped me from start to finish, and I am very thankful to have met and work with him. I’m already looking forward to our next project together! Dear Jamie, you are wonderful person to work with. Thank you for your tremendous help in making my dream to own a practice come true!! You have been a great help and support throughout and after the acquisition process. You have always been very approachable and easy to work with. Anytime I need anything or have a question, you are always just a phone call away. Even with your busy schedule, you always have time to address my concerns and go the extra mile to do all that you can. Your knowledge and experience in the industry, along with your honesty and integrity is a great asset. Many thanks for all your guidance and support!! Jamie, I really wanted to thank you again for everything you have done for me. A few weeks ago I never thought I could buy a practice and close on it so quickly. You made it possible. The paperwork and the approvals could have been a burden but you helped me through them and we were able to get them done quickly. 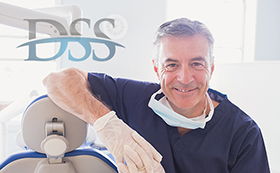 You are the "go to guy" for dentists looking to own their first practice. I cannot thank you enough for all your help during our transition period. I really appreciate everything you have done for me. Jamie's integrity is why I recommend him. I had a pleasant experience acquiring my first practice because of his assistance. Practice acquisitions, building purchases and dental equipment are his specialties. Furthermore, I am grateful for the help that his company provided. I am proud to finally own a practice and excited about growing my own business. I can't imagine making this transition without his help. I just wanted to take a minute to thank you from the bottom of my heart for all of the effort that you have put into making this practice happen. Without you we wouldn't be where we are and I am so grateful for your kindness and all of your efforts on our behalf. Jamie, we want to take the opportunity to thank you for all you've done to make our American dream come true! Without your help, Fairway Dental wouldn't have been possible. Thank you for your friendship. Most of all, thank you for being someone we can trust. We feel very lucky to know you and appreciate your assistance in the development of our office. I cannot say enough good things about Jamie Phillips. Not only does he have a vast knowledge of the industry, but he is a man with integrity. For instance, he is very well connected and knows who to go to if he doesn't have the answer. He is extremely easy to work with. Jamie will go the extra mile to ensure that you get what you need and that the job is done right. In other words, I highly recommend using Dental Support Systems! Jamie has been a trusted member of our team for many years. He has helped with numerous projects including practice sales, practice purchases, construction and equipment purchases. His honesty and integrity are a great asset. I feel fortunate to have him on our team. Dental Support Systems helped me tremendously when I was new to the DFW area. Jamie Phillips has a wealth of knowledge about the industry and the area. He helped me buy a startup practice in a growing area and helped secure another existing practice within the Fort Worth city limits. Anytime I need anything or have a question he is willing to drop what he is doing and help in any way he can. I highly recommend him if you are looking into buying a practice in North Texas. His experience coupled with his customer service is second to none, hands down! I’ve known and worked with Jamie for many years. He helped me find a practice that was a great fit and continues to be a wealth of knowledge for our practice! Thanks for your help, Jamie! Jamie negotiated my lease , constructed my office and continues to provide equipment as we experience rapid growth in our new location. Many thanks Jamie for always being our guiding light! Jamie walked me through the purchase of my first practice. The transition as an associate to practice owner was very exciting. Due to a few years of successful profit, I was ready to invest in a second office. As a result,Jamie found the perfect location, designed the floor plan and managed the entire project. He helped me purchase the building which includes a nationally recognized tenant, to help subsidize the rent. I really appreciate all the hand holding required to accomplish all of this in such a short time.